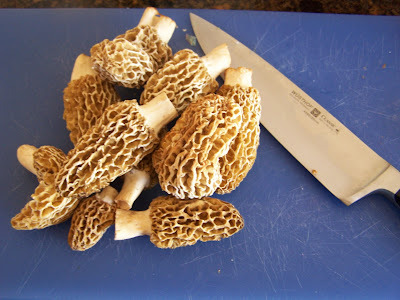 One thing I love about being in the Midwest is the yearly spring ritual of going mushroom hunting in the woods for Morels. These tasty mushrooms only grow for about a week or two and are highly sought after by local chefs. We had so many that I didn’t have time to eat them all! It can be quite a task searching for them, so have patience.